Oldspeak: “A big question in climate science has been whether the rise in global sea level rise is accelerating. Now there is strong evidence that this is indeed the case,” – Brian Hoskins, Imperial College, London. OSLO The rise in global sea levels has accelerated since the 1990s amid rising temperatures, with a thaw of Greenland’s ice sheet pouring ever more water into the oceans, scientists said on Monday. The annual rate of sea level rise increased to 3.3 millimeters (0.13 inch) in 2014 – a rate of 33 centimeters (13 inches) if kept unchanged for a century – from 2.2 mm in 1993, according to a team of scientists in China, Australia and the United States. Sea levels have risen by about 20 cms in the past century and many scientific studies project a steady acceleration this century as man-made global warming melts more ice on land. Until now, however, scientists have found it hard to detect whether the rate has picked up, is flat or has fallen since 1990. The study found that early satellite data had exaggerated the rate of sea level rise in the 1990s, masking the recent acceleration. The confirmation of a quickening rise “highlights the importance and urgency” of working out ways to cut greenhouse gas emissions and to protect low-lying coasts, the scientists wrote in the journal Nature Climate Change. A thaw of Greenland’s ice sheet accounted for more than 25 percent of the sea level rise in 2014 against just 5 percent in 1993, according to the study led by Xianyao Chen of the Ocean University of China and Qingdao National Laboratory of Marine Science and Technology. Other big sources include loss of glaciers from the Himalayas to the Andes, Antarctica’s ice sheet and a natural expansion of ocean water as it warms up from its most dense at 4 degrees Celsius (39.2°F). A U.N. panel of climate scientists said in 2014 that sea levels could rise by up to about a meter by 2100. Several climate experts who were not involved in the study welcomed the findings. “This is a major warning to us about the dangers of a sea level rise that will continue for many centuries even after global warming is stopped,” Peter Wadhams, of the University of Cambridge, said in a statement. “A big question in climate science has been whether the rise in global sea level rise is accelerating. Now there is strong evidence that this is indeed the case,” said Brian Hoskins of Imperial College, London. A rise in sea levels will threaten low-lying coasts from Miami to Bangladesh, cities from Shanghai to San Francisco and small island states such as Tuvalu in the Pacific. As humans put ever more heat-trapping gases into the atmosphere, the Earth heats up. These are the basics of global warming. But where does the heat go? How much extra heat is there? And how accurate are our measurements? These are questions that climate scientists ask. If we can answer these questions, it will better help us prepare for a future with a very different climate. It will also better help us predict what that future climate will be. The most important measurement of global warming is in the oceans. In fact, “global warming” is really “ocean warming.” If you are going to measure the changing climate of the oceans, you need to have many sensors spread out across the globe that take measurements from the ocean surface to the very depths of the waters. Importantly, you need to have measurements that span decades so a long-term trend can be established. These difficulties are tackled by oceanographers, and a significant advancement was presented in a paper just published in the journal Climate Dynamics. That paper, which I was fortunate to be involved with, looked at three different ocean temperature measurements made by three different groups. We found that regardless of whose data was used or where the data was gathered, the oceans are warming. In the paper, we describe perhaps the three most important factors that affect ocean-temperature accuracy. First, sensors can have biases (they can be “hot” or “cold”), and these biases can change over time. An example of biases was identified in the 1940s. Then, many ocean temperature measurements were made using buckets that gathered water from ships. Sensors put into the buckets would give the water temperature. Then, a new temperature sensing approach started to come online where temperatures were measured using ship hull-based sensors at engine intake ports. It turns out that bucket measurements are slightly cooler than measurements made using hull sensors, which are closer to the engine of the ship. During World War II, the British Navy cut back on its measurements (using buckets) and the US Navy expanded its measurements (using hull sensors); consequently, a sharp warming in oceans was seen in the data. But this warming was an artifact of the change from buckets to hull sensors. After the war, when the British fleet re-expanded its bucket measurements, the ocean temperatures seemed to fall a bit. Again, this was an artifact from the data collection. Other such biases and artifacts arose throughout the years as oceanographers have updated measurement equipment. If you want the true rate of ocean temperature change, you have to remove these biases. Another source of uncertainty is related to the fact that we just don’t have sensors at all ocean locations and at all times. Some sensors, which are dropped from cargo ships, are densely located along major shipping routes. Other sensors, dropped from research vessels, are also confined to specific locations across the globe. Currently, we are heavily using the ARGO fleet, which contains approximately 3800 autonomous devices spread out more or less uniformly across the ocean, but these only entered service in 2005. Prior to that, temperatures measurements were not uniform in the oceans. As a consequence, scientists have to use what is called a “mapping” procedure to interpolate temperatures between temperature measurements. Sort of like filling in the gaps where no data exist. The mapping strategy used by scientists can affect the ocean temperature measurements. Finally, temperatures are usually referenced to a baseline “climatology.” So, when we say temperatures have increased by 1 degree, it is important to say what the baseline climatology is. Have temperatures increased by 1 degree since the year 1990? Since the year 1970? Since 1900? The choice of baseline climatology really matters. In the study, we looked at the different ways that three groups make decisions about mapping, bias, and climatology. We not only asked how much the oceans are warming, but how the warming differs for various areas (ocean basins) and various depths. We found that each ocean basin has warmed significantly. Despite this fact, there are some differences amongst the three groups. For instance, in the 300-700 meter oceans depths in the Pacific and Southern oceans, significant differences are exhibited amongst the tree groups. That said, the central fact is that regardless of how you measure, who does the measurements, when or where the measurements are taken, we are warming. Our study confirms again a robust global ocean warming since 1970. However, there is substantial uncertainty in decadal scale ocean heat redistribution, which explains the contradictory results related to the ocean heat changes during the “slowdown” of global warming in recent decade. Therefore, we recommend a comprehensive evaluation in the future for the existing ocean subsurface temperature datasets. Further, an improved ocean observation network is required to monitor the ocean change: extending the observations in the boundary currents systems and deep oceans (below 2000-m) besides maintaining the Argo network. In plain English, it will be important that we keep high-quality temperature sensors positioned throughout the oceans so in the future we will be able to predict where our climate is headed. We say in science that a measurement not made is a measurement lost forever. And there are no more important measurements than of heating of the oceans. (EnviroNews DC News Bureau) — A spate of new research studies has confirmed a disturbing pattern: climate disruption is confusing migratory birds, causing trees to relocate and allowing tropical diseases to spread northward. “Human society has yet to appreciate the implications of unprecedented species redistribution for life on Earth, including for human lives,” states a study, “Divergence of Species Responses to Climate Change,” published May 17, 2017, in Science Advances. Imagine if you had to travel thousands of miles and arrive at a specific time each year, but you had no way of knowing the precise time you needed to get there. That’s what it’s like for many songbirds that migrate from Central and South America each spring to breeding grounds in the U.S. and Canada. If they were to arrive too early, they wouldn’t find food and could freeze to death. If they arrive late, the best nesting sites may be taken and there will be fewer opportunities to find a mate. For countless generations, these birds have been able to rely on seasonal signals such as the length of daylight. That hasn’t changed of course, but now, due to a rapidly changing climate, the conditions at their summer homes may not be what they’ve come to expect, according to another study published May 15 in Scientific Reports. This groundbreaking study combined 12 years of NASA satellite imagery tracking the arrival of spring greenery, with citizen-collected science data extracted from eBird, which records more than 60 million observations a year. An online tool used by amateur and professional bird watchers, eBird is a joint project of the Cornell Lab of Ornithology and the National Audubon Society. “It’s powerful. Whether they know it or not, birders are helping scientists do their work, and they could end up helping birds in the process,” stated study co-author Rob Guralnick, Associate Curator of Bioinformatics at the Florida Museum. The researchers looked at 48 species of songbirds and found that the average gap between the onset of spring and the arrival of these birds has lengthened by half a day per year, or five days per decade. Nine of these species fell further behind, losing a full day or more per year. Those struggling most were great crested flycatchers (Myiarchus crinitus), indigo buntings (Passerina cyanea), scarlet tanagers (Piranga olivacea), rose-breasted grosbeaks (Pheucticus ludovicianus), eastern wood pewees (Contopus virens), yellow-billed cuckoos (Coccyzus americanus), northern parulas (Setophaga americana), blue-winged warblers (Vermivora cyanoptera) and Townsend’s warblers (Setophaga townsendi). “If anything could adapt to climate change, you’d think that birds that migrate thousands of miles could,” Mayor said. And that may happen, but it will take many generations, as evolution selects for earlier-arriving birds. Adding to the complexity, these scientists also found that greening is beginning earlier in eastern forests and later in western forests in the U.S.
All this is happening while forest trees themselves are moving in response to a disrupted climate. Yet another corroborating study, led by Purdue University and published May 17, 2017, in Science Advances, looked at 86 species of trees in the U.S. over three decades. Researchers found that 73 percent shifted westward and 62 percent shifted northward, including some species that moved simultaneously in both directions. Of course, the trees themselves don’t move, but over time, the highest concentration for each species has been notably shifting. The movement has thus far been greater in the westerly direction, equaling 50 feet per decade. Northward movement was measured at 36 feet per decade. The shifts are attributed to changes in precipitation and temperature — both outcomes of climate destabilization. In Europe, 34 percent of timber forests will be suitable only for Mediterranean vegetation by 2100, according to the Purdue University study. Looking at the redistribution of species under climate disruption, the authors found many other changes coming. “For marine, freshwater, and terrestrial species alike, the first response to changing climate is often a shift in location, to stay within preferred environmental conditions,” they wrote. Of more than 4,000 species studied around the world, half are relocating, says National Geographic. In the Arctic, brown bears (Ursus arctos) are expanding their range northward, in some cases competing with and even mating with polar bears (Ursus maritimus). Beavers (Castor canadensis) have been found as far north as the coast of the Beaufort Sea. The list includes mammals, amphibians, fish and insects. “Movement of mosquitoes in response to global warming is a threat to health in many countries through predicted increases in the number of known and potentially new diseases,” states an additional report titled “Biodiversity Redistribution Under Climate Change: Impacts on Ecosystems and Human Well-Being,” from an international team of 41 scientists, published March 31, 2017, in Science. The World Health Organization (WHO) counted 212 million new cases of malaria in 2015, primarily in Africa, Southeast Asia and the eastern Mediterranean. But climate change will allow the disease to spread to new areas, according to the University Corporation for Atmospheric Research (UCAR) Center for Science Education. That will be a problem for health officials. “Climate-related transmission of malaria can result in epidemics due to lack of immunity among local residents and will challenge health systems at national and international scales, diverting public and private-sector resources from other uses,” state the authors of the UCAR report. Other insect-borne diseases are on the rise due to climate change as well. Of the approximately 3,500 species of mosquito around the world, according to the Centers for Disease Control (CDC), only a hand-full carry and transmit the dreaded West Nile virus, dengue fever and the lesser-known Chikungunya. West Nile claimed 146 lives in the U.S. in 2015 while an island-wide epidemic in Puerto Rico in 2007 tallied 10,000 cases. Black-legged ticks (Ixodes scapularis), which carry Lyme disease as well as other deadly pathogens, have spread to 41 states as the blood-sucking bugs enjoy warmer, shorter winters. Atop Maine’s Bradbury Mountain, for the past 11 years, a lone volunteer spends his or her days from March 15 to May 15, scanning the skies for birds. It is often cold and windy into late April, sometimes requiring snowshoes to ascend the summit. From the rounded granite top of the mountain, the view extends outward to the ocean. It’s the site of the northernmost hawk watch in the Eastern Flyway – one of the major north-south routes for migratory birds in North America. Ospreys (Pandion haliaetus), bald eagles (Haliaeetus leucocephalus) and broad-winged hawks (Buteo platypterus) can be seen and counted, soaring above the tall white pines and iconic sugar maple trees. Three Years To Safeguard Our Climate? Oldspeak: “The good news is that it is still possible to meet the Paris temperature goals if emissions begin to fall by 2020” –Christiana Figueres et Al. Decarbonizing the world economy will require renewable energy generation from vast solar farms, such as this one in Nevada. In the past three years, global emissions of carbon dioxide from the burning of fossil fuels have levelled after rising for decades. This is a sign that policies and investments in climate mitigation are starting to pay off. The United States, China and other nations are replacing coal with natural gas and boosting renewable energy sources. There is almost unanimous international agreement that the risks of abandoning the planet to climate change are too great to ignore. The technology-driven transition to low-carbon energy is well under way, a trend that made the 2015 Paris climate agreement possible. But there is still a long way to go to decarbonize the world economy. The political winds are blustery. President Donald Trump has announced that the United States will withdraw from the Paris agreement when it is legally able to do so, in November 2020. The year 2020 is crucially important for another reason, one that has more to do with physics than politics. When it comes to climate, timing is everything. According to an April report1 (prepared by Carbon Tracker in London, the Climate Action Tracker consortium, the Potsdam Institute for Climate Impact Research in Germany and Yale University in New Haven, Connecticut), should emissions continue to rise beyond 2020, or even remain level, the temperature goals set in Paris become almost unattainable. The UN Sustainable Development Goals that were agreed in 2015 would also be at grave risk. That’s why we launched Mission 2020 — a collaborative campaign to raise ambition and action across key sectors to bend the greenhouse-gas emissions curve downwards by 2020 (www.mission2020.global). As 20 leaders of the world’s largest economies gather on 7–8 July at the G20 summit in Hamburg, Germany, we call on them to highlight the importance of the 2020 climate turning point for greenhouse-gas emissions, and to demonstrate what they and others are doing to meet this challenge. Lowering emissions globally is a monumental task, but research tells us that it is necessary, desirable and achievable. After roughly 1°C of global warming driven by human activity, ice sheets in Greenland and Antarctica are already losing mass at an increasing rate. Summer sea ice is disappearing in the Arctic and coral reefs are dying from heat stress — entire ecosystems are starting to collapse. The social impacts of climate change from intensified heatwaves, droughts and sea-level rise are inexorable and affect the poorest and weakest first. The magnitude of the challenge can be grasped by computing a budget for CO2 emissions — the maximum amount of the gas that can be released before the temperature limit is breached. After subtracting past emissions, humanity is left with a ‘carbon credit’ of between 150 and 1,050 gigatonnes (Gt; one Gt is 1 × 109 tonnes) of CO2 to meet the Paris target of 1.5 °C or well below 2 °C (see go.nature.com/2rytztf). The wide range reflects different ways of calculating the budgets using the most recent figures. At the current emission rate of 41 Gt of CO2 per year, the lower limit of this range would be crossed in 4 years, and the midpoint of 600 Gt of CO2 would be passed in 15 years. If the current rate of annual emissions stays at this level, we would have to drop them almost immediately to zero once we exhaust the budget. Such a ‘jump to distress’ is in no one’s interest. A more gradual descent would allow the global economy time to adapt smoothly. Greenhouse-gas emissions are already decoupling from production and consumption. For the past three years, worldwide CO2 emissions from fossil fuels have stayed flat, while the global economy and the gross domestic product (GDP) of major developed and developing nations have grown by at least 3.1% per year (see go.nature.com/2rthjje). This is only the fourth occasion in the past 40 years on which emission levels have stagnated or fallen. The previous three instances — in the early 1980s, 1992 and 2009 — were associated with global economic predicaments, but the current one is not2. Emissions from the United States fell the most: by 3% last year, while its GDP grew by 1.6%. In China, CO2 emissions fell by 1% in 2016, and its economy expanded by 6.7% (ref. 2). Although it is too early to tell whether this plateau will presage a fall, the signs are encouraging. In 2016, two-thirds of China’s 5.4% extra demand for electricity was supplied by carbon-free energy resources, mostly hydropower and wind2. In the European Union, wind and solar made up more than three-quarters of new energy capacity installed; coal demand was reduced by 10% (ref. 3). In the United States, almost two-thirds of the electricity-generating capacity installed by utility companies was based on renewables (see go.nature.com/2skv20g). The International Energy Agency (IEA) has predicted that, by 2020, renewable sources could deliver 26–27% of the world’s electricity needs, compared with 23.7% of electric power at the end of 2015. But that underestimates the pace of change in energy systems. Growth in electric vehicles alone could displace 2 million barrels of oil per day by 2025, according to a February report4. It suggests that, by 2050, this could reach 25 million barrels of oil per day — a stark contrast to expectations from the fossil-fuel industry that demand for oil will rise. And solar power alone could supply 29% of global electricity generation by 2050. This would remove the need for coal and leave natural gas with only a 1% market share. However, the oil firm ExxonMobil predicts that all renewables will supply just 11% of global power generation by 2040 (ref. 4). Investors, meanwhile, are growing wary of carbon risks. BlackRock and Vanguard, the two largest fund managers, voted — along with many others — against ExxonMobil management at its annual general meeting on 31 May and instructed the company to report on the profit impact of global measures to keep climate change below 2 °C. Earlier this month, Norway’s US$960-billion sovereign-wealth fund declared that it will ask the banks in which it has invested to disclose how their lending contributes to global greenhouse-gas emissions. Last year, the installed capacity of renewable energy set a new record of 161 gigawatts; in 2015, investment levels reached $286 billion worldwide, more than 6 times that in 2004. Over half of that investment, $156 billion, was for projects in developing and emerging economies5. There is a strong headwind against the low-carbon transition in some places, which may impede progress. For example, the Financial CHOICE Act — a bill passed by the US House of Representatives on 8 June — would make it nearly impossible for investors to challenge companies on climate-risk disclosure through shareholder proposal processes, as at ExxonMobil. However, as the UN Secretary General, António Guterres, said in New York last month: “The sustainability train has left the station.” The fossil-free economy is already profitable6 and creating jobs (www.clean200.org). A report this year by the International Renewable Energy Agency and the IEA shows that efforts to stop climate change could boost the global economy by $19 trillion7. The IEA has also said that implementing the Paris agreement will unlock $13.5 trillion or more before 2050. Recent geopolitical events, too, have galvanized activity in support of the Paris agreement. For example, the #WeAreStillIn campaign — involving more than 1,000 governors, mayors, businesses, investors and universities from across the United States — has declared that it will ensure the nation remains a leader in reducing carbon emissions. To prioritize actions, we’ve identified milestones in six sectors. Developed with knowledge leaders, these were reviewed and refined in collaboration with analysts at Yale University, the Climate Action Tracker consortium, Carbon Tracker, the low-carbon coalition We Mean Business, the Partnership on Sustainable, Low Carbon Transport (SLoCaT), advisory firm SYSTEMIQ, the New Climate Economy project and Conservation International. Infrastructure. Cities and states have initiated action plans to fully decarbonize buildings and infrastructures by 2050, with funding of $300 billion annually. Cities are upgrading at least 3% of their building stock to zero- or near-zero emissions structures each year9. If we delay, the conditions for human prosperity will be severely curtailed. There are three pressing and practical steps to avoid this. First, use science to guide decisions and set targets. Policies and actions must be based on robust evidence. Uncensored and transparent communication of peer-reviewed science to global decision-makers is crucial. Academic journal articles are not easily read or digested by non-experts, so we need a new kind of communication in which Nature meets Harvard Business Review. Science associations should provide more media training to young scientists and hold communication boot camps on how to make climate science relevant to corporate boards and investors. Those in power must also stand up for science. French President Emmanuel Macron’s Make Our Planet Great Again campaign is a compelling example. He has spoken out to a global audience in support of climate scientists, and invited researchers to move to France to help accelerate action and deliver on the Paris agreement. To encourage others to speak, scientists should forge connections with leaders from policy, business and civil society. The Arctic Basecamp at Davos in January, for instance, brought scientists into high-level discussions on global risk at the World Economic Forum’s annual meeting in Switzerland. Second, existing solutions must be scaled up rapidly. With no time to wait, all countries should adopt plans for achieving 100% renewable electricity production, while ensuring that markets can be designed to enable renewable-energy expansion. Third, encourage optimism. Recent political events have thrown the future of our world into sharp focus. But as before Paris, we must remember that impossible is not a fact, it’s an attitude. It is crucial that success stories are shared. Demonstrating where countries and businesses have over-achieved on their targets will raise the bar for others. More-ambitious targets become easier to set. The upcoming G20 meeting in Hamburg is the perfect moment for heads of state to integrate the six milestones into their discussions on how to ensure a resilient, prosperous, inclusive and interconnected global economy. This would pave the way for a year of raised ambition in 2018, when nations take stock of progress and revise national commitments under the Paris agreement. The G20 is due to adopt the recommendations of the Financial Stability Board’s Task Force on Climate-related Financial Disclosures, on how the global finance system will manage the risk of climate change. It requires financial institutions to design, disclose and implement a transition strategy with a view to full decarbonization of operations, value chains and portfolios by 2050. National governments and financial regulators must enact these recommendations swiftly. Cities and provincial governments must help to drive the ambition of national governments on climate change, particularly through smart infrastructure and transport policy. C40 Cities, a network of megacities committed to addressing climate change, has adopted a strategy called Deadline 2020 that aligns its emissions-reductions plans with the Paris agreement. Other cities now have an opportunity to follow suit, for example through the Global Covenant of Mayors for Climate and Energy. Our co-signatory list, which includes eminent scientists, business leaders, economists, analysts, influencers and representatives of non-governmental organizations, is an example of the strength of radical collaboration across unusual partners, who all share a mission to seize this opportunity to improve people’s lives, the planet and the global economy. There will always be those who hide their heads in the sand and ignore the global risks of climate change. But there are many more of us committed to overcoming this inertia. Let us stay optimistic and act boldly together. Antarctica is unfreezing. In the past few months alone, researchers have chronicled a seasonal waterfall, widespread networks of rivers and melt ponds and an iceberg the size of Delaware on the brink of breaking away from the thawing landscape. A new study published in Nature Communications only adds to the disturbing trend of change afoot in Antarctica. Researchers have documented rain on a continent more known for snow and widespread surface melt in West Antarctica last summer, one of the most unstable parts of a continent that’s already being eaten away by warm waters below the ice. The findings, published Thursday, indicate that last year’s super El Niño played a large role in driving the meltdown, but researchers are concerned that overlaying natural climate patterns onto the long-term warming driven by carbon pollution could put Antarctica’s ice in an even more precarious position. The research, which Bromwich helped produced, stemmed from a series of coincidences starting at the top of the West Antarctic ice sheet, nearly 6,000 feet above sea level. Researchers stationed there in January 2016 noticed surface melt starting in the middle of the month and even reported seeing rain as warm, moist air poured into the region. Bromwich said he had never heard of rain falling on that region of the ice sheet, though the Antarctic Peninsula further north will occasionally get a few showers. His and other researchers’ curiosity was piqued and using satellite imagery and high altitude balloon data, they were able to confirm the melt not just at the top of the ice sheet but across much of West Antarctica. About 300,000 square miles of the ice sheet near the Ross Sea experienced melt, making it the second-largest surface melt ever documented in that region of Antarctica. The meltdown was caused by incredibly mild air. Temperatures spiked 27°F (15°C) above where they were at in early January in some locations, pushing them above freezing for a two-week period at lower elevations of the ice sheet. The biggest driver of the Antarctic heat wave was the super El Niño, then at its peak in the tropical Pacific. It helped rearrange the atmosphere so a high pressure system off Chile’s coast could steer abnormally balmy weather toward West Antarctica. The pattern has played out in other El Niño years, causing similar widespread melt events. Ted Scambos, a researcher at the National Snow and Ice Data Center, said the study did a good job of explaining the mechanisms behind the meltdown and could be helpful in further understanding the forces at play in the region’s climate. The rain that preceded the major melt also may have also played a role in preconditioning the surface melt that Bromwich said was essentially a thick layer of slush covering the ice sheet. What happened in West Antarctica last January was driven by natural climate shifts, but overlaying it on climate change is bad news for the region where ice shelves are melting from below. Research has shown that those disappearing ice shelves could trigger “unstoppable” melt as warm water eventually pushes up under parts of the marine ice sheet itself, sending sea levels at least 10 feet higher. Surface melt events like the one Bromwich and his colleagues documented will only compound the speed at which the ice sheet melts. Previous research has shown that the odds of a super El Niño like the one that boiled the ocean in 2015-16 are likely to double as the climate warms, further compounding the risk. There were also strong winds out of the west that helped blunt some of the melting in January 2016, but if the meteorological odds don’t line up in the future, the region could be in even deeper trouble. Scott Pruitt achieved something of a political first last week. The controversial head of the US Environmental Protection Agency (EPA) was grilled by the officials who control his budget and told that he had asked for too little cash. In fact, the officials insisted, they were determined to give his agency more than he had requested. “I can assure you, you’re going to be the first EPA administrator that’s come before this committee in eight years that actually gets more money than they asked for,” said Oklahoma congressman Tom Cole, a member of the US House of Representatives Committee on Appropriations who, as a Republican, is nominally on the same side as Pruitt. In a gruelling session, Pruitt was left in no doubt of what the committee members thought of proposals from Donald Trump’s administration to slash both the spending and the remit of the EPA. “I’ll get straight to it. The fiscal year 2018 budget request for EPA is a disaster,” said Nita Lowey, a Democratic representative for New York who sits on the committee. The intended cuts of US$2.4 billion to the agency budget, she said, would “surely impact EPA’s ability to fulfil its critical mission of protecting the air we breathe and the water we drink”. Not so, Pruitt stated. With less money and fewer staff, the agency would do a better job and be able to focus more on its core mission. What’s more, President Trump’s high-profile exit from the Paris agreement on climate change, he has promised, does not undermine US leadership on and engagement with the problem. Meanwhile on planet Earth the heat is rising. Britain was hit by a heatwave at the weekend that forecasters say could last for weeks, and temperatures in California are predicted to reach record levels in a few days’ time. The world is cooking and we should anticipate more of the same. From extreme rainfall to rising sea levels, global warming is expected to wreak havoc on human lives. Sometimes, the most straightforward impact — the warming itself — is overlooked. Yet heat kills. The body, after all, has evolved to work in a fairly narrow temperature range. Our sweat-based cooling mechanism is crude; beyond a certain combination of high temperature and humidity, it fails. To be outside and exposed to such an environment for any length of time soon becomes a death sentence. And that environment is spreading. A death zone is creeping over the surface of Earth, gaining a little more ground each year. As an analysis published this week in Nature Climate Change shows, since 1980, these temporary hells on Earth have opened up hundreds of times to take life (C. Mora et al. Nature Clim. Change http://dx.doi.org/10.1038/nclimate3322; 2017). At present, roughly one-third of the world’s population lives for about three weeks a year under such conditions. If greenhouse-gas emissions continue to rise unchecked, that figure could climb, exposing almost three-quarters of the population by the end of the century. The analysis also reveals that even aggressive reductions in emissions will lead the number of deadly heatwaves to soar in the coming decades. Cities including London, New York, Tokyo and Sydney have all seen citizens die from the effects of excessive heat. By 2100, people in the tropics could be living in these death zones for entire summers. It’s true that warmer winters will save lives further north. And those living in urban environments may find ways to adapt to the new norm of extreme heat. But, if the researchers are correct, the politics of Pruitt and those who try to hold him to account will seem quaint and anachronistic to our grandchildren. For they will live in a world in which most will see the environment less as something to protect, and more as something to protect themselves and their families from. Have wildfires increased globally over recent years? And if so, is global warming to blame? Research has illuminated this, along with what wildfires do to us and our environment, and which areas are most vulnerable. Are wildfires increasing around the world? 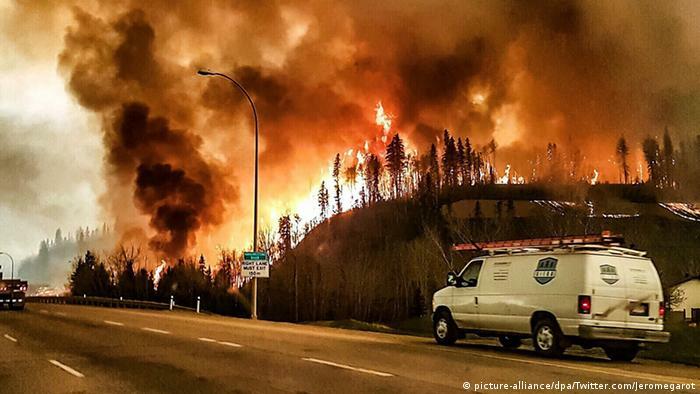 Unusually large wildfires ravaged Alaska and Indonesia in 2015. 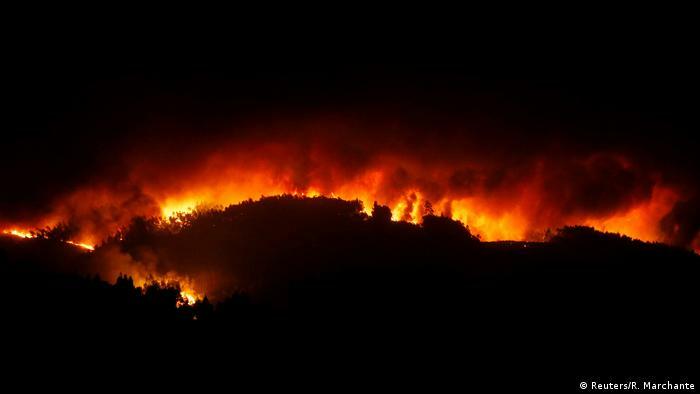 The following year, Canada, California and Spain were devastated by uncontrolled flames. 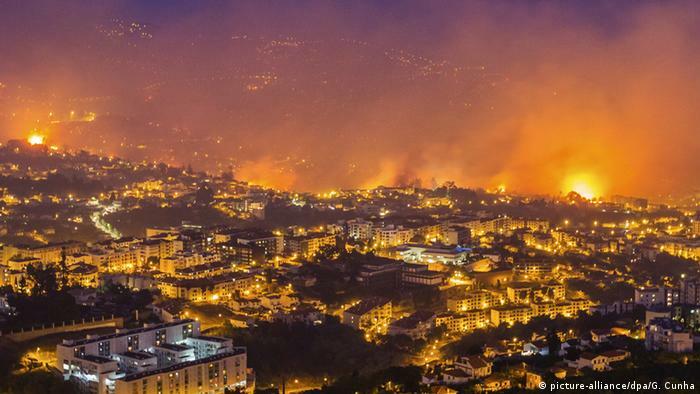 In 2017, massive fires devastated regions of Chile – and now, a deadly blaze in Portugal has claimed dozens of lives. So, have wildfires actually increased globally, or does it just seem that way because we’re tuned in more to bad news and social media? Science suggests that over the past few decades, the number of wildfires has indeed increased, especially in the western United States. 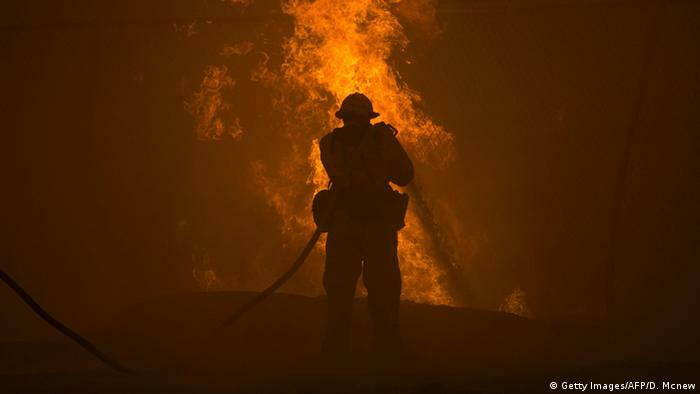 According to the Union of Concerned Scientists (UCS), every state in the western US has experienced an increase in the average annual number of large wildfires over past decades. What’s more, wildfire season – meaning seasons with higher wildfire potential – has universally become longer over the past 40 years. This trend is something Jason Funk, senior climate scientist with UCS, is very worried about. 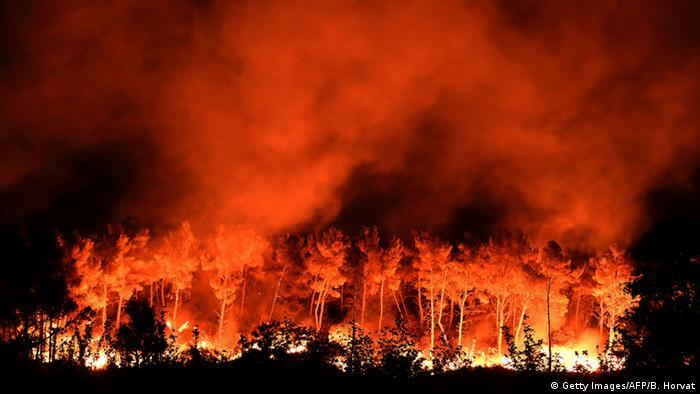 According to Funk, not only US forests are endangered by increasing wildfires – the trend has been that wildfires are burning more area around the world. “In recent years, there have been big fires in Siberia and various other places around the world where we typically don’t see large-scale wildfires,” he said. Projections by the UCS suggest that wildfires could get four, five and even six times as bad as they currently are within this century. What is the main reason wildfires are increasing? Funk has been researching the impact of climate change on landscapes in the US, and says there is very well documented scientific evidence that climate change has been increasing the length of the fire season, the size of the area burned each year and the number of wildfires. Wildfires are typically either started accidentally by humans – such as a burning cigarette carelessly tossed out of a window – or by natural causes like lightning. These “ignition events” don’t have a major effect on the scale of the fire, says Funk. But what does affect scale are prevailing climate conditions. And these have become warmer and drier – due to climate change. Greenhouse gas emissions, via the greenhouse effect, are causing the global temperature to increase and the climate to change. This enhances the likelihood of wildfires. Why? Because warmer temperatures increase evaporation, which means the atmosphere draws more moisture from soils, making the land drier. A warmer climate also leads to earlier snowmelt, which causes soils to be drier for longer. And dry soils become more susceptible to fire. 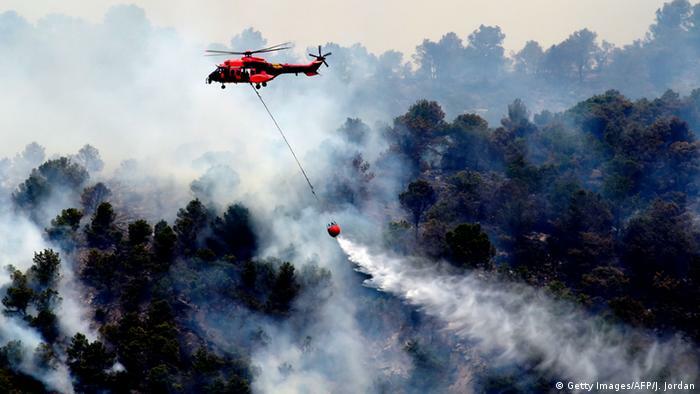 “The areas where wildfires are taking place are always areas that [have become] drier and hotter, and where spring has come earlier,” said Funk. Drier conditions and higher temperatures increase not only the likelihood of a wildfire to occur, but also the duration and the severity of the wildfire. That means when wildfires break out, they expand faster and burn more area as they move in unpredictable ways. “They really take off and get out of control more frequently than in the past,” said Funk. What else is increasing wildfires? 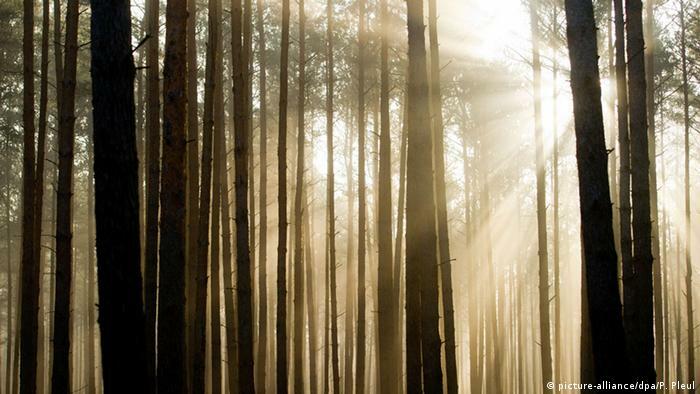 A less direct climate-driven effect is pest outbreaks that have killed a lot of trees. Pests make forests more susceptible to wildfire, according to Funk. “We know that these pest outbreaks have been caused by climate change, because there hasn’t been anything like that in the past 500 years, perhaps even 1,000 years,” he said. While human activities such as logging and mining are known to influence the likelihood of wildfires as well, many of the areas that have seen recent increases in wildfires are relatively unaffected by human land use. This suggests that climate change is a major factor driving the increase in fires, according to UCS. What threats do these wildfires pose? Forest fires aren’t necessarily bad. In fact, fire is a natural and beneficial part of many forest ecosystems, and we need to allow some fires to burn, as they are necessary for the ecosystems to stay healthy. Over the decades, undergrowth builds up on the forest floor – so when a fire burns through, that provides space for larger, more mature trees that are more fire-resistant. But the unnatural increase in wildfires is causing entire forests to burn down uncontrollably. This is bad for the environment – and for us. Wildfires pose risks to human life, property and infrastructure – recent wildfires have already caused significant human health impacts across southeast Asia, says Funk. Forest fires directly kill plants and animals, also causing a loss of habitat. But the biggest problem is that the scale of these fires has increased to the degree that they themselves have become significant contributors of greenhouse gas emissions. After all, trees absorb and store carbon from the atmosphere – so the more trees that burn down, the harder it is to combat climate change in the future. And this is dangerous, Funk said. 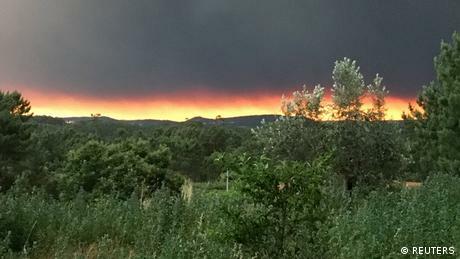 “It creates a feedback loop: the fires create more emissions, which in turn contribute to more global warming, which will then cause more fires,” Funk said. What areas are most affected by wildfire? According to US federal research, humid, forested areas are most likely to face greater threats from wildfires, as conditions there grow drier and hotter due to global warming. Forests increasingly affected by fire and climate change, and which are thus the most vulnerable, are in the boreal region. This stretches across the northern hemisphere through Alaska, Canada, Scandinavia and Russia. Boreal forest comprises almost a third of forested land in the world, and plays an important role in absorbing and storing carbon dioxide. Studies show that especially the Russian and Canadian boreal forests are increasingly threatened by wildfire, as temperatures are rising faster in these northern regions than in other areas of the planet. Once seen as too remote to harm, the deep sea is facing new pressures from mining, pollution, overfishing and more. June 7, 2017 — Imagine sinking into the deepest parts of the Central Pacific Ocean, somewhere between Mexico and Hawaii. Watch as the water turns from clear to blue to dark blue to black. And then continue on for another 15,000 feet (4,600 meters) to the seafloor — roughly the distance from the peak of California’s Mount Whitney to the bottom of nearby Death Valley. “As soon as you start to descend, all of the wave action and bouncing goes away and it’s like you’re just floating and then you sink really slowly and watch the light fade out through the windows and then you really are in another world,” says Erik Cordes, a researcher at Temple University and frequent visitor to the deep ocean. Finally, you come to a stop 12,000 feet (3,700 meters) below the last bits of light from the surface. The water here is strangely viscous yet remarkably transparent, and the light from your flashlight extends for hundreds of yards. You are in the heart of the Clarion-Clipperton Fracture Zone, a region of the ocean seafloor roughly the size of the United States, populated by colorless invertebrates adapted in astounding ways to the sparse, crushing conditions found here. And they’re worth millions. Because inside these mysterious little eggs are untouched stores of copper, titanium, cobalt and especially manganese — crucial for making anything from the steel in your car’s frame to the circuitry that tells you how much gas is left in it. Some metals exist in larger quantities here than on all the continents of the world — and you had better believe they have caught the eye of mining companies. However it’s defined, the deep sea today is a place of change. Human activities already are affecting it — and are poised, as these mineral stores suggest — to radically affect it even more in the decades to come. Attention we pay and decisions we make now could make all the difference in its fate. The mineral riches of this deep ocean are vast and nearly untouched for now. But that’s changing as new technologies are allowing humans to access ever-deeper parts of the seafloor. Current mining strategies break down along two rough categories. 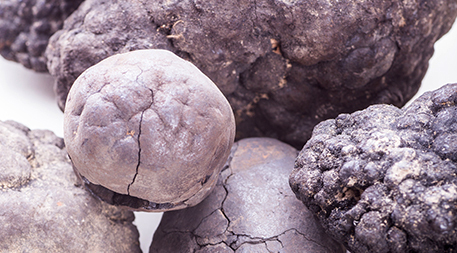 First is nodule mining — gathering up those bizarre seafloor billiard balls that have slowly collected minerals over the centuries as they trickled down like rain from above or seeped up from below and congregated around some central particle like rock candy around a string. There is no industry standard for sweeping up nodules so far below the surface — about 4,000 to 6,000 meters (13,000 to 20,000 feet) — though companies have proposed ideas as varied as deepwater vacuum cleaners and massive trawlers dragging across the seafloor. One 1985 study estimated 550 billion metric tons (610 billion tons) of nodules in the sea. The second form of mining is targeted around sulfur vents and other types of seeps. These operations would be in shallower water — 4,000 to 12,000 feet (1,200 to 3,700 meters) — and look more like traditional mining operations scraping sulfur, phosphorus or precious metals from the sides of underwater ridges. So far, all of these projects are theoretical. Most of the permits currently granted for deep-sea mining are for nodules, but the first ones to actually break ground are likely to be around ocean vents. Nautilus Minerals, a Canadian company working off the coast of Papua New Guinea, has begun implementing a project to mine gold and copper at a ridge about 5,000 feet (2,000 meters) below the surface and in April began receiving equipment. Company executives have pointed out that they have passed environmental impact reviews and that their project is friendlier to the Earth than other mining operations because the ore is so rich they can get more of it by disturbing less of the soil. But scientists point out that much remains unknown about what deep-water strip mining will do to the environment. In the case of ocean vents, there are some animals that may live only in that spot, and a single mine could wipe out entire species. In addition, both styles of mining would kick up potentially toxic plumes of ultra-fine sand that could travel hundreds of miles through a part of the ocean that has remained undisturbed for thousands of years. Because life in the deep ocean is more sensitive to change than in the shallows, the smallest shift in pH, oxygen or temperature can have huge effects. Thus, one of the most serious concerns about the deep ocean is climate change. According to Andrew Thurber, an assistant professor at Oregon State University, a quarter to a third of the CO2 humans have released has gone to the deep ocean. Some of it gets absorbed into the water itself or turns to particulate, thus lowering the pH and oxygen levels, and some is buried and turned to stone, where it effectively neutralized and stored for millions of years. A quarter to a third of the CO2 humans have released has gone to the deep ocean.Ironically, the deep ocean is one of the greatest mitigators of climate change as well, since it absorbs a massive portion of the Earth’s heat and CO2. In fact, one recent study showed that the ocean is absorbing phenomenally more heat now than ever before — about the same amount between 1997 and 2015 as it had in the previous 132 years. As a result, scientists are already seeing incremental temperature rise in the deep sea. Though less than at the surface, changes down there tend to represent more permanent ocean shifts. Then there is chemical pollution. 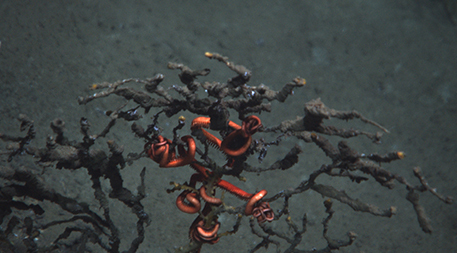 While mining the deep sea might be new, polluting it is not. Recent studies have found toxic terrestrial chemicals like PCBs and PBDEs in the tissues of animals living in the deepest places on Earth. 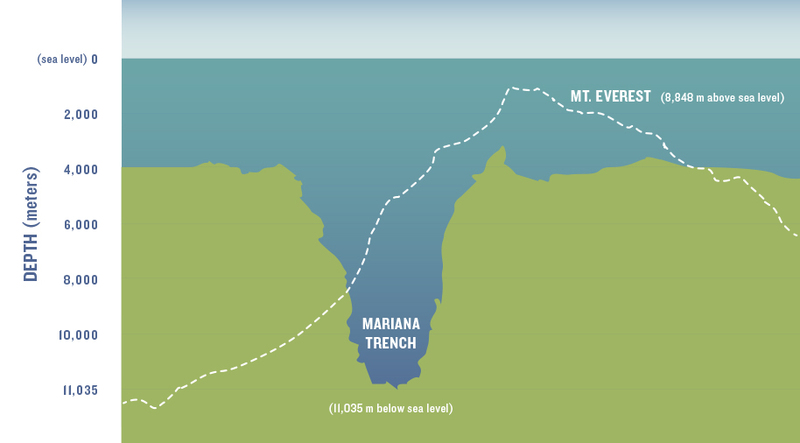 In fact, where once scientists assumed the deep ocean was rather isolated from the surface, new studies have shown that the two are closely connected and that material can pass quickly into the depths. The most spectacular example of this was the aftermath of the 2010 Deepwater Horizon oil spill on the Gulf of Mexico. It was assumed at the time that much of the millions of barrels of oil released by the faulty offshore drilling rig would float; they did not. It was assumed that the dispersant would neutralize the oil; in fact it was more toxic to deep sea corals than the oil itself. Cordes studies all sorts of pollution effects beyond the reach of sunlight. He and colleagues published pioneering research looking at the first evidence of acidification in the deep ocean in the Gulf of Mexico and off the coast of Norway. He says it’s easy to think of the deep sea as some kind of wasteland, while in fact it’s brimming with life. “People don’t realize that there are massive coral reefs all over the Gulf of Mexico, there’s corals right off shore in California, there’s corals up in New England,” he says. To overload this system or tinker with it at all is to play with fire. “If we put something in the deep ocean, we pretty much can’t clean it up,” Thurber says. And we can’t depend on the animals down there to adapt and clean up after us as they often do at the surface. Cordes says microbes at the surface can double their numbers in 12 hours; in the deep ocean it takes half a year. Because the generation time is so much slower, Thurber says, it takes decades for carbon-munching deep water microbes to battle, say, higher methane levels than the days or weeks it would take critters at the surface. Thus, our decisions around greenhouse gas emissions at the surface have now affected every ecosystem on Earth. 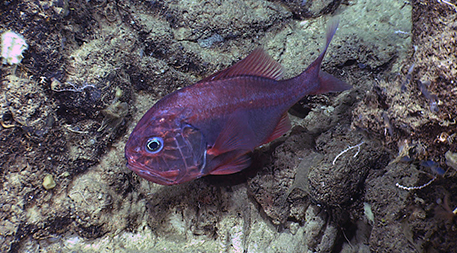 And it’s not just the microbes that grow slowly — fish in the deep ocean also take their time. As a result, fishing is another threat to the deep ocean. With most normal, surface fishing practices, it’s possible to manage a population such that what you take out is the same as what the population can replenish. But because fish found far from the surface grow slowly, some scientists have gone so far as to say that deep sea fishing is more analogous to mining than to fishing. The classic case of this is the common slimehead. The slimehead is a delicious, bulky, dark red fish found from 180 to 1,500 meters (590 to 4,920 feet) below the surface in many of the world’s oceans. In the late 1970s, concerned that cod was on a permanent decline, seafood marketers in New Zealand began pushing slimehead under the more palatable name, orange roughy, because it turns orange after death. Why this seemed like a good idea is a mystery. Slimehead spawn only 4 percent of the number of eggs as cod and take 20 to 30 years to reach maturity (rather than about two for cod). Within a couple decades the Australian government started reducing allowable harvest and then closing fisheries altogether as they tried to figure out catch limits that wouldn’t decimate the creature. Some scientists now say there is no such number. One team estimated The New Zealand Ministry of Fisheries in 2009 estimated that a single 40-square-mile (100-square-kilometer) deep ocean fishery in the Pacific can only sustainably produce about 200 kilograms (400 pounds) of product per year. That’s about 57 adult slimehead. But that particular fishery produces 8,000 metric tons (9,000 tons) of slimehead per year. A similar story is playing out in other slimehead fisheries across the world, as well as other deepwater creatures like grenadiers, sharks and toothfish (otherwise known as Chilean seabass). In many ways, the deep sea truly is a new world waiting to be explored. But in our rush to exploit that new world, unless we think carefully about the impacts, we may find ourselves harming it before we even understand it — with implications for ourselves. As President Donald Trump prepared to pull the United States out of the global Paris climate agreement this week, scientists at NOAA reported that 2016 had recorded the second-biggest jump in atmospheric carbon dioxide on record. Last year’s increase in the atmospheric CO2 concentration was nearly double the average pace since detailed measurements started in 1979. Once CO2 is in the atmosphere, the heat-trapping gas persists there for decades as new emissions pile in, which means that even if global emissions level off—as they have started to do—the planet is on a path toward more warming, rising sea levels and increased heat waves and droughts in the decades ahead. Concentrations of other greenhouse gases, including methane and nitrous oxide, also increased last year, according to the National Oceanic and Atmospheric Administration’s latest update to its greenhouse gas index. The heating effect of all combined greenhouses gases in the atmosphere increased by 2.5 percent in 2016, according to the index. Getting the atmospheric concentration to also level off would require reducing emissions by 80 percent, he said. That 80 percent cut is exactly what is targeted under the Paris climate agreement, but the goal is in doubt as the Trump administration rolls back climate and energy policies meant to lower emissions in the United States, historically the world’s largest sources of greenhouse gas pollution. The index was established in 1979, when NOAA expanded the global network of 80 land- and ocean-based measurement sites, including the Mauna Loa observatory in Hawaii. In the 1980s and 1990s, the CO2 level increased at about 1.5 parts per million each year. The last two years, it’s been rising at nearly twice that rate—2.9 ppm—as emissions overwhelm the oceans’ and forests’ ability to take CO2 out of the air. The new data also show that the powerful effect of heat-trapping and ozone-destroying chlorofluorocarbons (CFCs)—once widely used as refrigerants and propellants—continues to decrease. That decline reflects the success of the 1989 Montreal Protocol, one of the early global efforts to tackle an environmental challenge. “That’s given us a little reprieve from even more warming,” according to Montzka, who said the continued use of CFCs could have had a substantial additional heating effect. Methane, which is a much more powerful heat-trapping gas than CO2, increased in 2016 at about the same rate as the previous two years, which is double the pace set between 2007 and 2013. Scientists suspect the methane increase is mainly from decomposition of plant matter in the tropics, where global warming is speeding biological processes. Earlier spikes in methane have also been linked with warmer Arctic temperatures that release the gas by thawing permafrost. Since 2013, the methane concentration has increased between 8.7 and 12.6 parts per billion each year, compared to an average annual increase of about 5.7 ppb between 2007 and 2013. Methane is measured in parts per billion rather than parts per million because the total amounts are much smaller. Even though the latest figures are sobering, the fact that global carbon emissions are starting to plateau is a hopeful sign, said Pennsylvania State University climate scientist Michael Mann.